Pianist, Rhodri Clarke graduated with first class honours from the ROYAL COLLEGE OF MUSIC, London in 2004 where he specialised in piano accompaniment, studying with Nigel Clayton and Roger Vignoles. 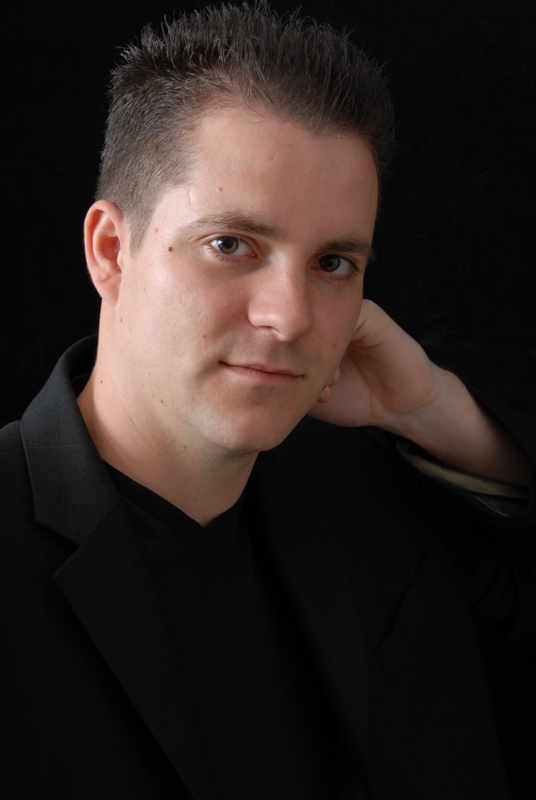 He performs internationally as an accompanist, chamber musician and occasionally as a soloist. During his time at the ROYAL COLLEGE OF MUSIC and subsequently, he gained a wealth of experience as an accompanist, working with many young singers from WELSH NATIONAL OPERA, the NATIONAL OPERA STUDIO and the other leading London institutions, in recitals and public masterclasses. He participated in repetiteur coaching sessions with members of WELSH NATIONAL OPERA music staff and has accompanied many talented instrumentalists particularly string and woodwind players. During 2009 & 2010, Rhodri Clarke lived in the Netherlands where he collaborated with members of the ROYAL CONCERTGEBOUW ORCHESTRA and ACADEMY and worked privately as a repetiteur and freelance accompanist. In 2010 he performed as a member of the chamber music group, the BOLIVAR SOLOISTS with the tenor Rolando Villazon on a ten concert tour of Europe, during which they performed at the BERLIN PHILHARMONIE, the VIENNA KONZERTHAUS, London’s ROYAL FESTIVAL HALL and THEATRE DES CHAMPS-ELYSEES in Paris. He toured twice to Latin-America, firstly to Venezuela, with double bass player, Edicson Ruiz, a member of the BERLIN PHILHARMONIC ORCHESTRA, showcasing the music of Latin American composers alongside mainstream classical composers, and then to Mexico, performing Mexican folksongs in new arrangements, again with the tenor Rolando Villazon and the BOLIVAR SOLOISTS the program recorded for Deutsche Grammaphon entitled MEXICO! and released in September 2010. OPERA BRITANNICA wrote of these performances, Villazon was accompanied by the fantastic Bolivar Soloists… Played with astonishing vitality and verve, with special mention due to the very stylish pianist, Rhodri Clarke. Also during 2010, Rhodri Clarke accompanied Bryn Terfel at CARNEGIE HALL. Other engagements as an accompanist have seen him perform at many prestigious European concert venues including WIGMORE HALL, ST. JAMES’S PICCADILLY, Berlin’s PHILHARMONIE and also at the LUCERNE INTERNATIONAL MUSIC FESTIVAL. Rhodri Clarke has made several broadcasts for BBC RADIO 3 including a live performance as organ continuo player on the BBC‘s IN TUNE radio program with THE MUSICALL COMPASS and as a pianist accompanying cellist Simon Wallfisch on the BETWEEN THE EARS program. He now makes his home in Melbourne but has worked in Australia on a number of occasions in the past, in 2005 accompanying the soprano Elizabeth Donovan on an intensive 3-month WELSH NATIONAL OPERA-funded period of study with the soprano Gwennyth Annear in Adelaide. He has given two piano recitals at HOME HILL WINERY, Tasmania, a solo performance in Adelaide as part of the FESTIVAL OF CHOIRS and in November 2007 performed as soloist and accompanist for the UK-based male voice, COMRADES CHOIR in a gala concert at SYDNEY OPERA HOUSE. 2013 saw the start of his collaboration with baritone, Michael Lampard, in the MELBOURNE RECITAL CENTRE’s salon series, and continuing with a performance of Schubert’s WINTERREISE in 3MBS FM‘s 2014 SCHUBERT MARATHON. Also during 2014, Rhodri Clarke appeared, at the SYDNEY OPERA HOUSE, in a performance with David Helfgott, of the two-piano version of Rachmaninov’s PIANO CONCERTO NO.3, and commenced an ongoing commitment as pianist for the highly acclaimed MELBOURNE PIANO TRIO with which he toured to China during 2015. Other engagements during 2015 and 2016 included accompanying David Hobson’s BACH TO BING tour and further performances, one at the MELBOURNE RECITAL CENTRE, and others in New Zealand, of the two-piano version of the Rachmaninov PIANO CONCERTO NO.3 with David Helfgott. During 2017 he repeated these duo performances with David Helfgott at BRIDGEWATER HALL in Manchester and the BARBICAN HALL, London, at the MUSIKVEREIN in Vienna and the KULTUR UND KONGRESSZENTRUM in Lucerne, a live CD recording being made from this performance for release during 2018. He also accompanied Greta Bradman and Teddy Tahu Rhodes in MORNING MELODIES concerts for ARTS CENTRE MELBOURNE. 2018 has included a return to Vienna for the duo-Rachmaninov PIANO CONCERTO NO.3 with David Helfgott, also at the TONHALLE in Zurich and at LA SEINE MUSICALE in Paris and, in Australia, at the PERTH CONCERT HALL.